Enjoy Wireless Audio from a Distance! Wireless Range: Up to 100'+ ft.
√Best Sound Quality --2 x3W revolutionary full-bodied stereo and unique loudspeaker cavity structure deliver loud, life-like sound and crystal clear dialog. 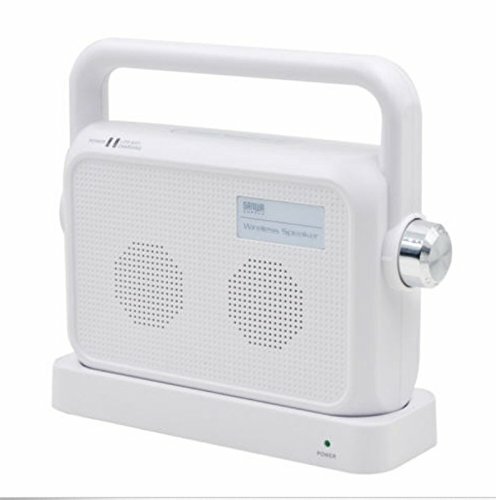 √Multiple Connection Way and Very Large Bluetooth Range --The Wireless TV Speaker support Wireless Bluetooth, AUX input. It provides surround sound stereo assistance with a wireless range of up to 100 feet. √Smart Design for Quiet Listing --The TV soundbox includes a headphone jack for quiet listening, so you can enjoy audio without disturbing others in the room. √Rechargeable Large Capacity Battery --Built-in rechargeable lithium-ion battery supports hi-fidelity wireless TV sound listening at least 8 hours continuously working. √Warranty and Support --Zosam 7*24 online support standing by, RISK FREE 100% money-back guarantee in 6 months. View More In Satellite Speakers. If you have any questions about this product by Zosam, contact us by completing and submitting the form below. If you are looking for a specif part number, please include it with your message.